Barista-quality performance, new intuitive touchscreen display with pre-programmed caf drinks menu and automatic milk texturing. All within a compact footprint. 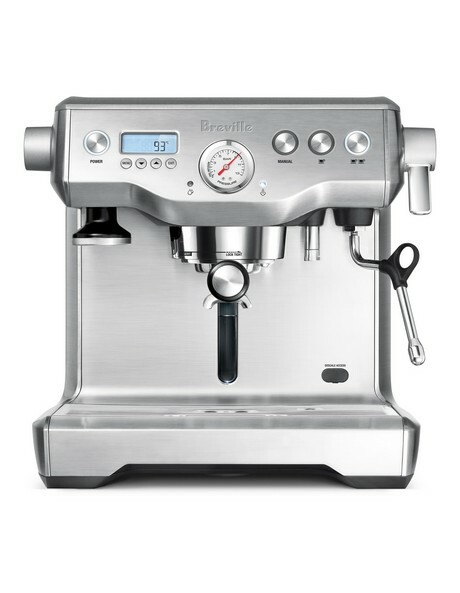 Intuitive Touchscreen Display: Simplifies how to make your favourite caf coffee in 3 easy steps - Grind, Brew and Milk. You can easily adjust the coffee strength, milk texture or temperature to suit your taste. Then save it with your own unique name. Create and save up to 8 personalised coffees. Automatic Microfoam Milk Texturing: Auto steam wand, allows you to adjust the milk temperature and texture to suit your taste. Delivering barista quality micro-foam that enhances the flavour of the coffee and essential for creating latt art. Then it cleans itself for you. Faster Heat Up Time: Innovative ThemoJet heating system achieves the optimum extraction temperature in 3 seconds. Ready to make your best coffee without the wait.